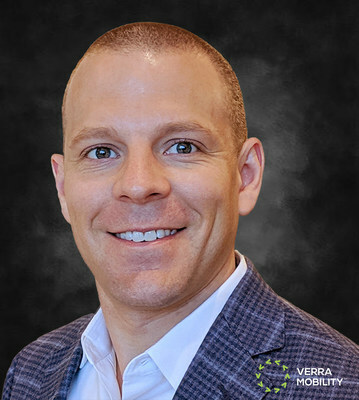 PHOENIX, April 2, 2019 /PRNewswire/ -- Verra Mobility (NASDAQ: VRRM), a leading provider of tech-enabled smart transportation solutions, today announced the appointment of Mike McMillin to the role of Vice President, Corporate Development and Strategy. In this role, McMillin's responsibilities will include the strategic development, implementation and expansion of the Verra Mobility footprint in the U.S. and internationally. "As cities become smarter and more connected, and the Internet of Things (IoT) becomes more prolific, the opportunity for safe and smart transportation solutions is vast," said David Roberts, CEO, Verra Mobility. "As the newest member of the executive leadership team, Mike will help accelerate growth through a combination of strategic partnerships and acquisitions that will diversify and grow our product portfolio, as well as manage acquisition activities and post-merger integration plans." McMillin joins Verra Mobility after more than a decade with HERE Technologies, where he most recently led the creation of the company's global mergers and acquisitions function when HERE Technologies was divested from Nokia. He was also responsible for two strategic acquisitions and launched a corporate venture capital program. McMillin's other roles at HERE Technologies included lengthy stints in the operations and product side of the business, creating new business models and managing strategic initiatives to support product launches and acquisitions. A graduate of the University of Notre Dame, McMillin earned his M.B.A from the University of Chicago Booth School of Business. Verra Mobility serves the world's largest commercial fleets and rental car companies to manage tolling transactions and violations for millions of vehicles. A leading provider of connected systems, Verra Mobility processes millions of transactions each year through connectivity with more than 50 individual tolling authorities and more than 400 issuing authorities. The company also fosters the development of safe cities, partnering with law enforcement agencies, transportation departments and school districts across North America, operating thousands of red-light, speed, bus lane and school bus stop arm safety cameras. Arizona-based Verra Mobility operates in 15 countries. For more information, visit www.VerraMobility.com.